At present (2002), the total acreage under deciduous fruit tree plantings in South Africa is 76,676 ha, of which apples (30%), grapes (27%) and pears (17%) contribute most. Total production amounts to more or less 1,5 million ton per annum. About 50% of the crop is processed, 33% exported fresh and 17% marketed fresh locally. Deciduous fruit provides job opportunities to about 76 400 people in primary agriculture, while it is estimated that the same number of seasonal workers is employed annually. South African producers that supply fruit to international clients must conform to the internal quality standards of their clients. The fruit industry is currently in the process of applying the principles of EUREPGAP (Euro-Retailer Produce Working Group and Good Agricultural Practices). The objective of the EUREPGAP group, which consists of leading European food wholesalers, is that the entire supply chain will conform to standards that will protect the consumer, the worker and the environment. By 2003, the European market will expect producers to satisfy the EUREPGAP principles and to receive EUREPGAP certification. The canning industry provides job opportunities to 20,670 farm workers and 11,300 factory workers and there are 1,200 producers. Foreign earnings from exports amount to R1,1 million per annum and in 2001 local sales amounted to R100 million. All raw products used by the canning fruit industry are manufactured in South Africa. Expenditure on cans, cartons, labels and sugar amounts to about R390 million per annum. Fruit cultivars used for canning are specially bred for this purpose. The yellow colour and texture of South Africa's Kakamas type peach is unique and known worldwide. New cultivars such as Keisie, Sandvliet and Western Sun combine unique quality characteristics with exceptionally high yields. 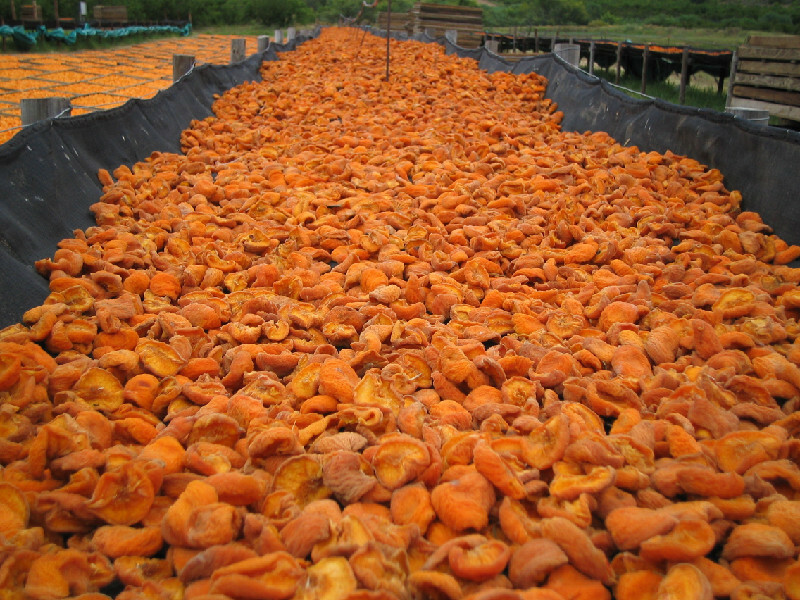 In 2001, there were about 1,500 primary dried fruit producers and the industry provided job opportunities to 16,000 farm workers and 10,000 factory workers. 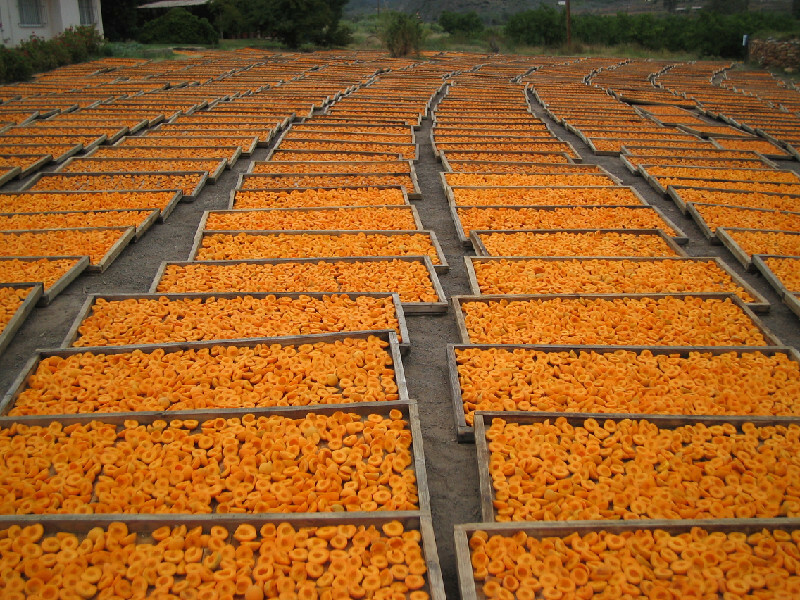 The fruit are dried on the farm and dried products are transported to factories where further processing and packaging take place. Foreign earnings through export of dried fruit are about R450 million per annum (2000), while sales of dried fruit on local markets amount to R330 million per annum. Barrientos and Kritzinger (2004) argue that fruit producers in South Africa are caught in a three-pronged dilemma: they face rising standards imposed within supermarket global value chains, falling prices on international markets, and increasing government regulation. Two effects of these pressures are falling permanent employment and the increasing use of contract labour on fruit farms. This is combined with the need to employ skilled workers to meet quality and labour standards. Overall, informal contract employment provides some (male) workers with regular work at relatively good pay, but others (particularly women) work for short periods at low pay. None enjoy work security or employment benefits. The informality of work intensifies their risks and vulnerability to poverty (see Squaring the circle: Global production and the informalization of work in South African fruit exports, Journal of International Development 2004). More recently as the triple pressures of increased global competition, rising supermarket value chain standards and braoder and more effective domestic labour legislation have come to bear in the global financial downturn there is a notable increase in the use of labour contractors and gangmasters in the recruitment and control of migrant and contract labour (see Barrientos, S. 2011,‘Labour chains’: analysing the role of labour contractors in global production networks, Brooks World Poverty Institute Working Paper 153, University of Manchester). South Africa is an important supplier of fresh fruit (with some vegetables and flowers) to the UK during its winter months (December to April). Approximately 60 percent of its fruit exports go to Europe, the majority to the UK (see Barrientos, 2011 above p.8).